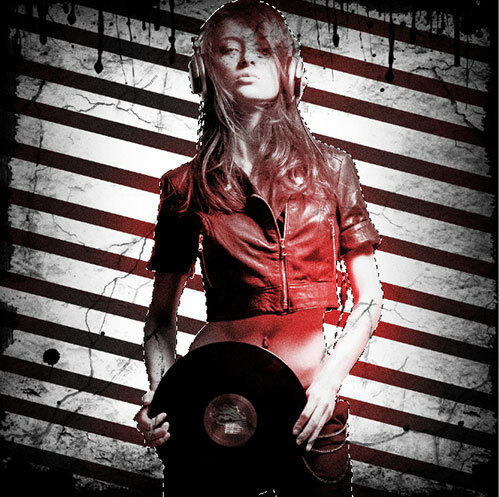 In this tutorial, it will show you the process of creating this photo manipulation by adding grungy effects into an image in Adobe Photoshop CS5. Layered PSD file included. Let’s get started! 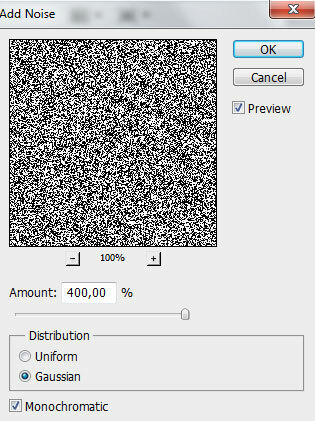 Start working by creating a new document (Ctrl+N) in Adobe Photoshop CS5 with the size 1000px by 1000px (RGB color mode) at a resolution of 72 pixels/inch. 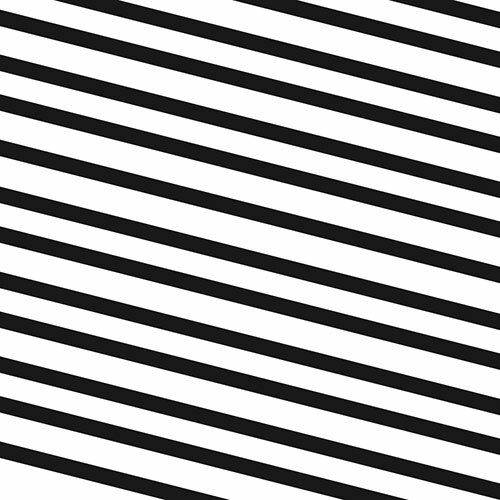 Choose the Rectangle Tool (U) to represent several horizontal lines of the color #191919. 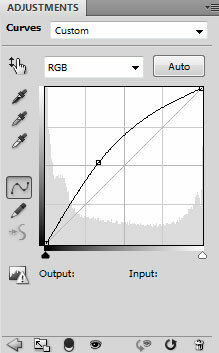 Using the Free Transform (Ctrl+T) command, we can incline the lines the same way as it is shown on the picture. 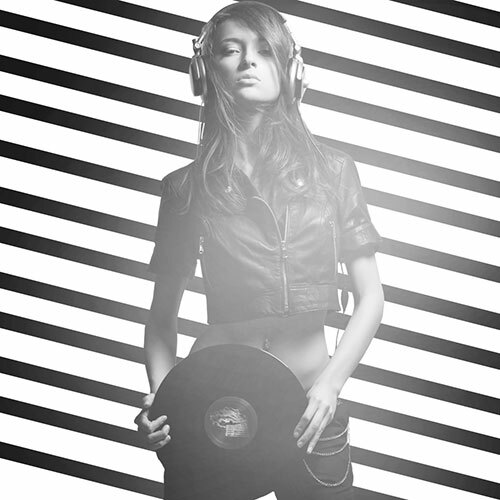 Find a stock photo with a model represented on it, I used the next photo, or if you prefer, you can substitute similar image of your own. 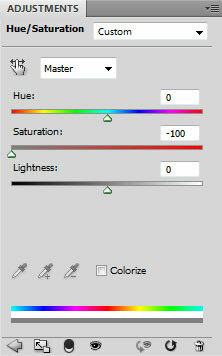 Click Create new fill or adjustment layer from bottom part of the Layers panel and select Hue/Saturation. 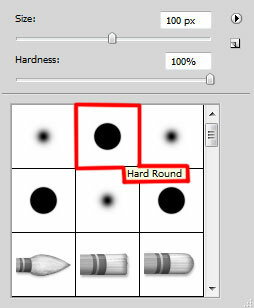 Drag the slider to the left to decrease the Saturation of the color range as shown. 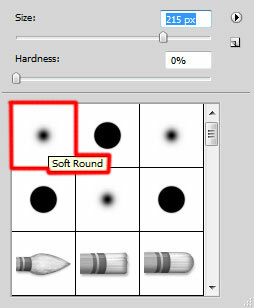 Create a new layer and select the Soft Round brush of white color (brush Opacity – 20%) to paint the model’s surface. Set the Blending mode for this layer to Color Dodge. 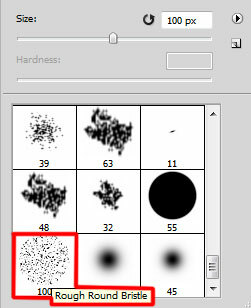 Create one more new layer and select the Rough Round Bristle brush of black color this time to paint the canvas’s edges. 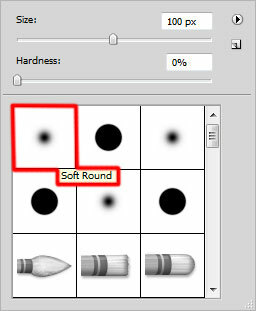 Create a new layer and select the Soft Round brush of black color (brush Opacity – 10%) to paint the canvas along its edges. 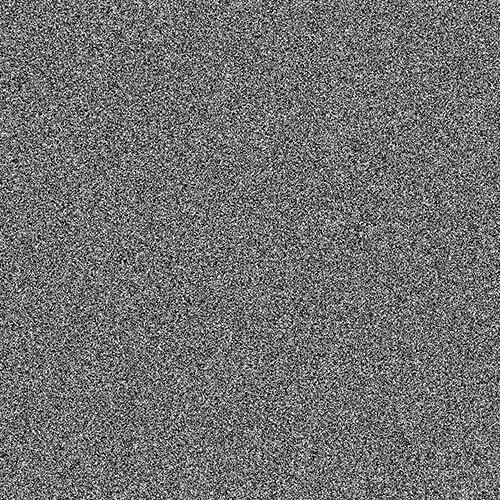 Create the next new layer and apply on it the next filter: Filter > Noise > Add Noise. Set Fill to 27% for this layer and change the Blending mode to Soft Light. 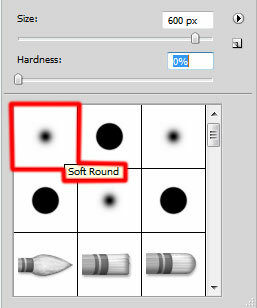 Create the next new layer and select for it the Rough Round Bristle brush of black color to paint the indicated zones on the canvas. Select the brush of different diameters. 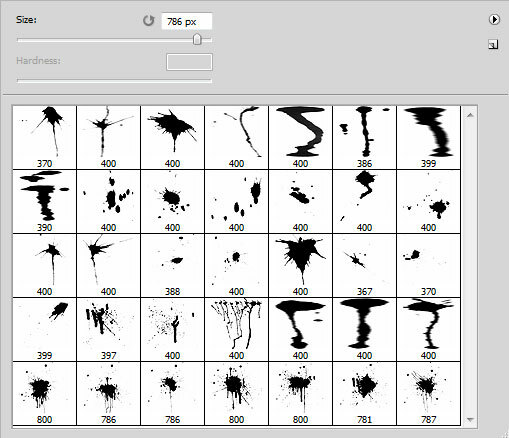 Next step we’ll download sets of brushes for Adobe Photoshop, named: Grunge_Brushes_007_by_Tackybrush and SM_SplatterisM1_Low. Create a new layer, load the SM_SplatterisM1_Low brushes, and use the brushes getting the same result as on the next picture. The brushes’ color is black. Insert the mask on the layer by choosing Add layer mask on the bottom part of the Layers panel and choose the Hard Round brush of black color. Paint in the mask using this brush to clean out the black drops on the model. 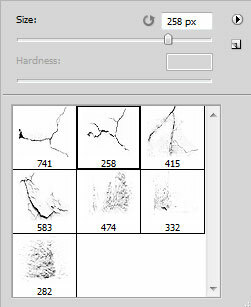 Create a new layer and load the brushes from Grunge_Brushes_007_by_Tackybrush set, use the next brushes to paint on the canvas like it demonstrated below. The brushes’ color is black. Leave active this layer in Layers panel, hold Ctrl button and click on the model’s layer to get the next selection. 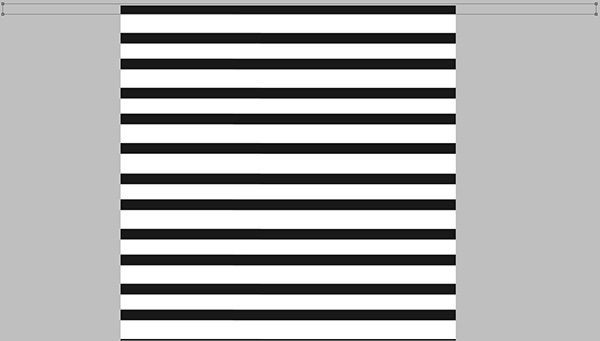 Insert the mask on the layer by choosing Add layer mask on the bottom part of the Layers panel and then press CTRL+I. Applying Grungy Effects into an Image is finished!